Summary: According to researchers, betanin, a compound in beetroot extract, could help inhibit the accumulation of misfolded proteins and slow the progression of Alzheimer’s disease. 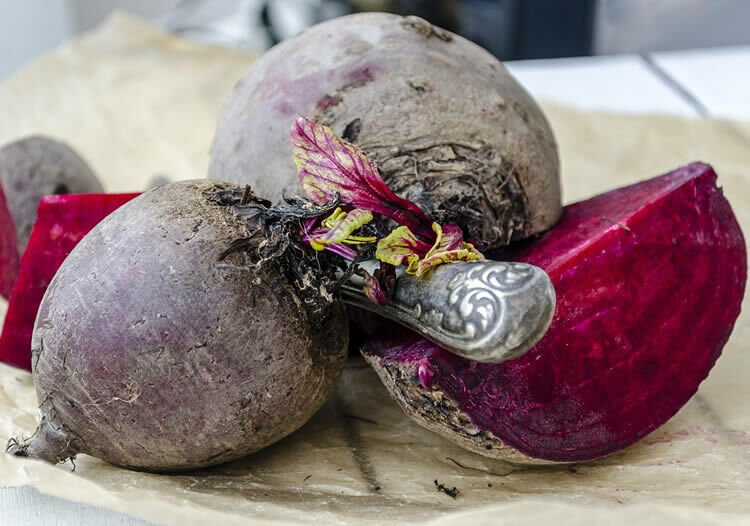 A compound in beets that gives the vegetable its distinctive red color could eventually help slow the accumulation of misfolded proteins in the brain, a process that is associated with Alzheimer’s disease. Scientists say this discovery could lead to the development of drugs that could alleviate some of the long-term effects of the disease, the world’s leading cause of dementia. “Our data suggest that betanin, a compound in beet extract, shows some promise as an inhibitor of certain chemical reactions in the brain that are involved in the progression of Alzheimer’s disease,” says Li-June Ming, Ph.D. NeuroscienceNews.com image is in the public domain. Funding: Ming acknowledges funding from the National Science Foundation. Original Research: The study will be presented at American Chemical Society 255th National Meeting. ACS “Compound in Beets May Help Slow Alzheimer’s.” NeuroscienceNews. NeuroscienceNews, 20 March 2018. ACS “Compound in Beets May Help Slow Alzheimer’s.” http://neurosciencenews.com/beet-alzheimers-8670/ (accessed March 20, 2018). Feel free to share this ACS.